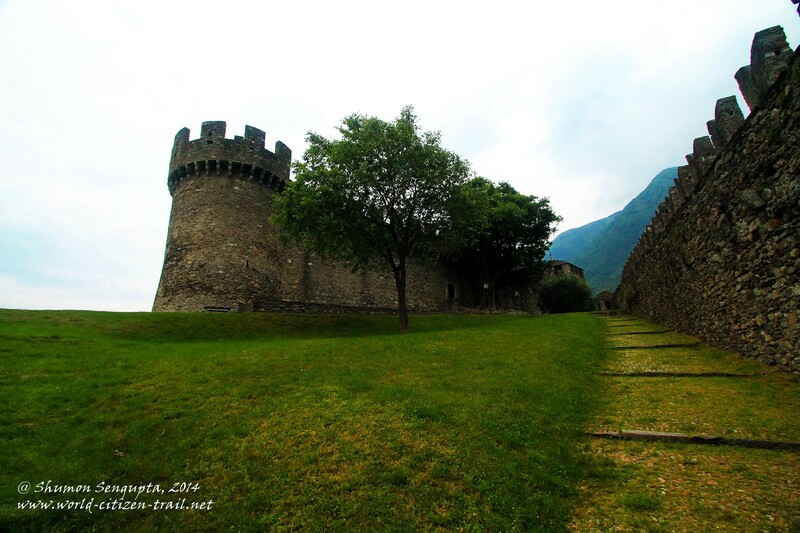 During our trip of Switzerland, we spent a day at the medieval town of Bellinzona (in the canton of Ticino, bordering Italy), visiting its triad of castles and the impressive group of fortifications. 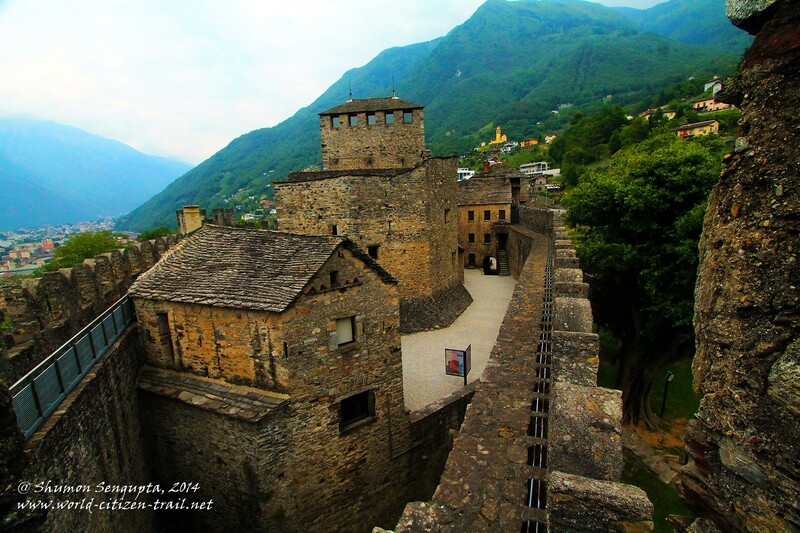 The Bellinzona group of castles and fortifications is particularly important because it is the only remaining example and one of the finest at that of medieval fortification architecture in the Alpine region. 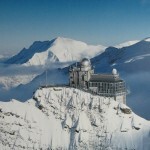 It is a unique example of European architecture, built specifically for the purpose of guarding a strategic Alpine pass, with the aim of protecting a feudal political and economic system. 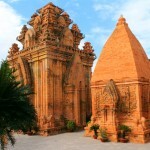 In 2000, it was designated as a UNESCO World Heritage site. 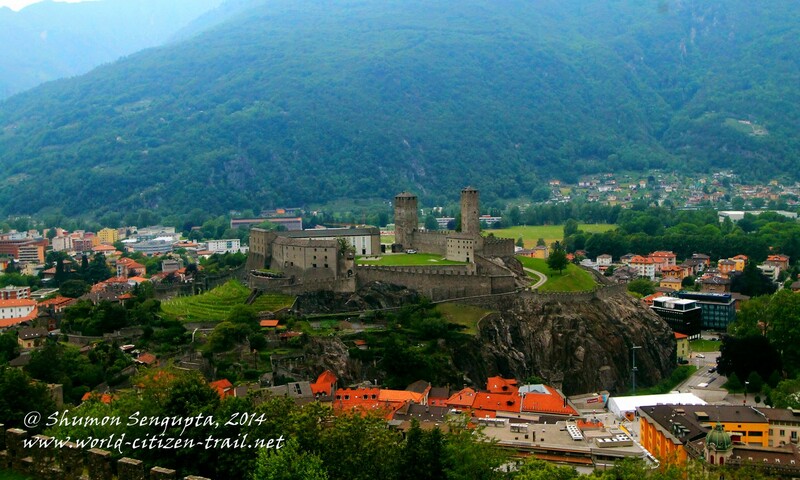 From Lugano, which was our base in this region, we arrived in Bellinzona in 30 minutes by train. 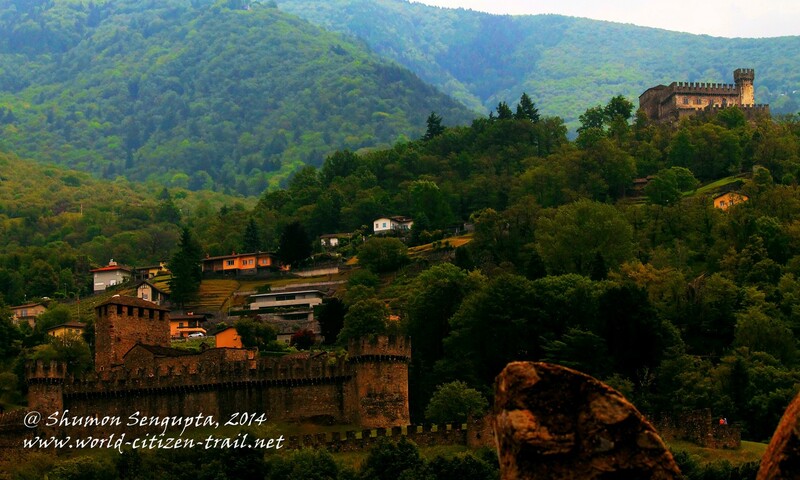 We decided to head straight for the castles before exploring the town. You can reach Castlegrande, which stands 50 meters above the town, over a steep narrow street leading up from the old town center. 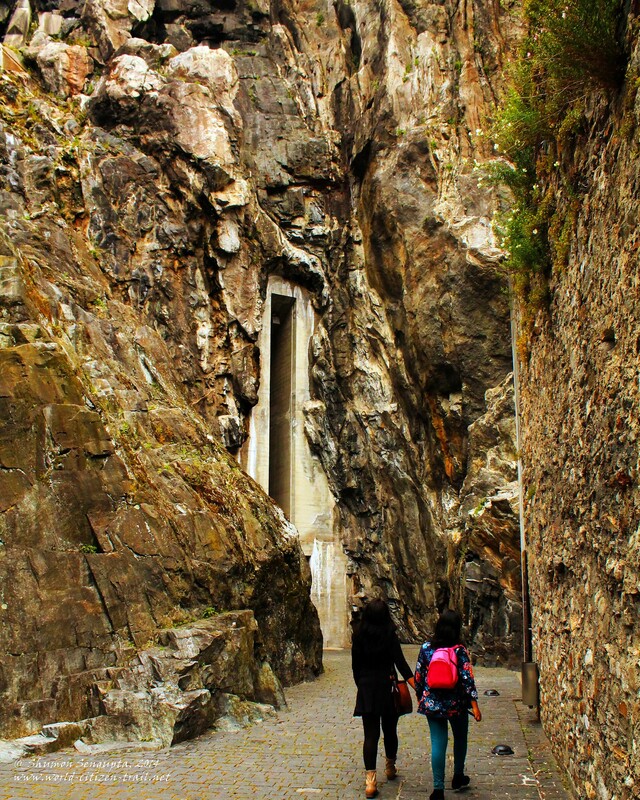 In the interest of time, we took the lift (built into the rock), which carried us from the foot of the hill, right up to the castle grounds. At the top after emerging out of the lift, we walked up the ramp and found ourselves on a wide open, stunningly beautiful expanse of grass, enclosed by defense walls. Unlike most other castles, the enclosure of Castlegrande is an open space with walls radiating out from the base of a tall tower (called the Black tower), creating three courtyards. 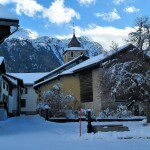 There is another tower – the so called White Tower situated to the east. 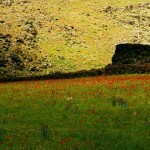 It is surrounded by its own set of fortifications, known as the Redoubt. 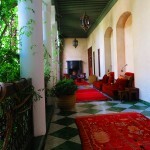 The main courtyard has a seating area and has a few modern sculptures / installations which are a good complement to the architecture and ambiance of the castle. This open space is a great place to have a picnic lunch. 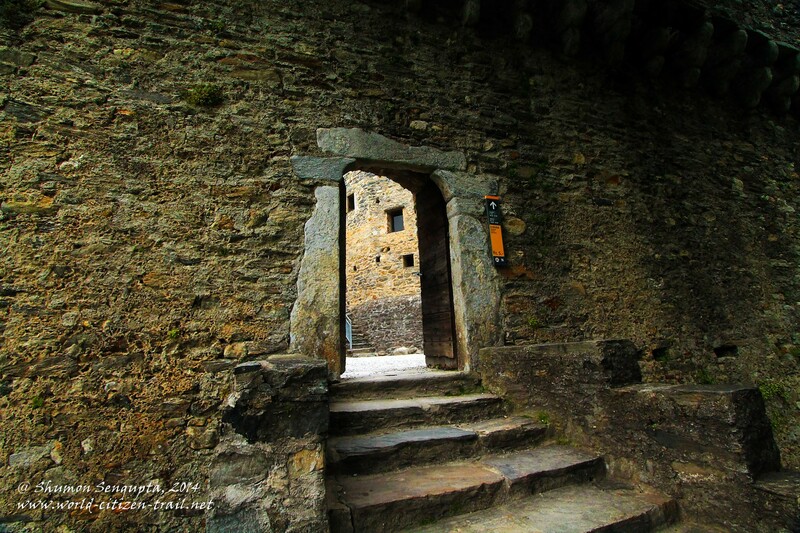 We explored the castle, which includes a museum (in the south wing), ramparts, the arsenal and two tall towers. 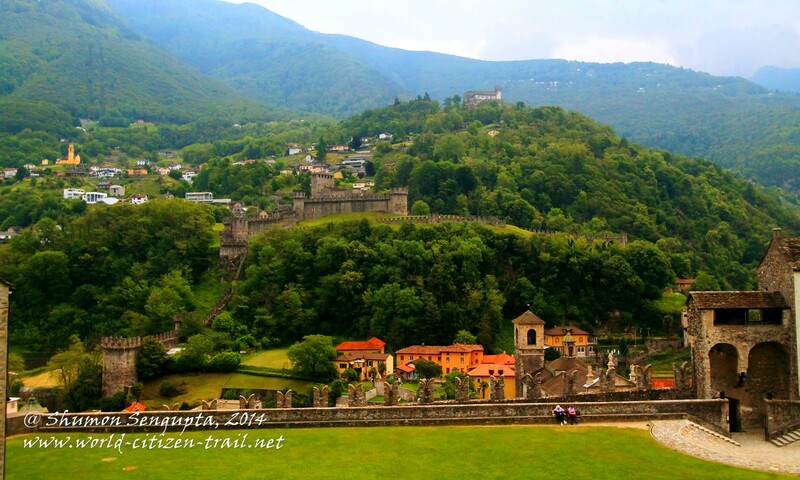 From the wide open spaces, at different points in the castle, we got beautiful vistas of the Ticino valley below. Wherever there is a museum, I can’t help pop in. We did the same here. 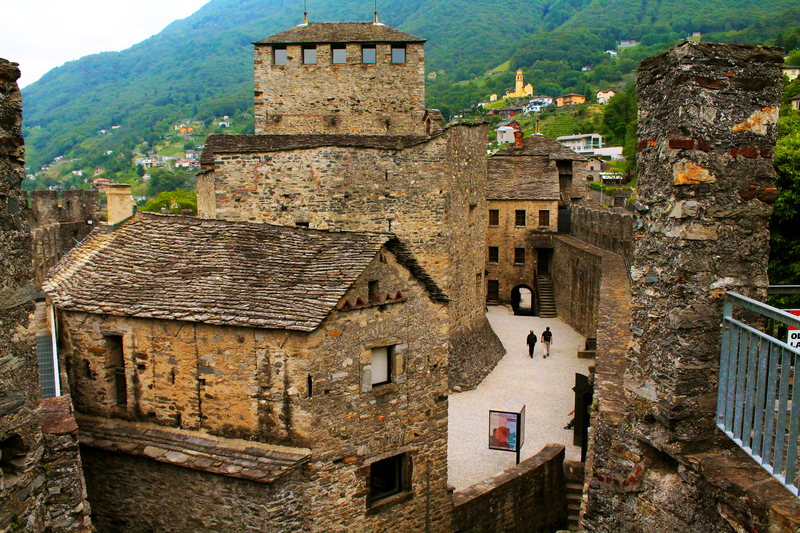 There is a small theatre at the museum, where we watched a very useful movie (in English) on the history of Bellinzona, its castles and fortifications. 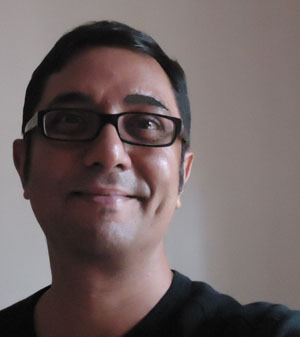 That was our snap-shot history module and a very interesting one at that. We then viewed the archaeological finds from the – the museum contains “6500 years of human presence on the hill and covers the period from the first Neolithic village to the 20th century”. On the western side of the southern courtyard of the castle, there is a block of massive buildings that were added in the late 19th century and comprised the arsenal. 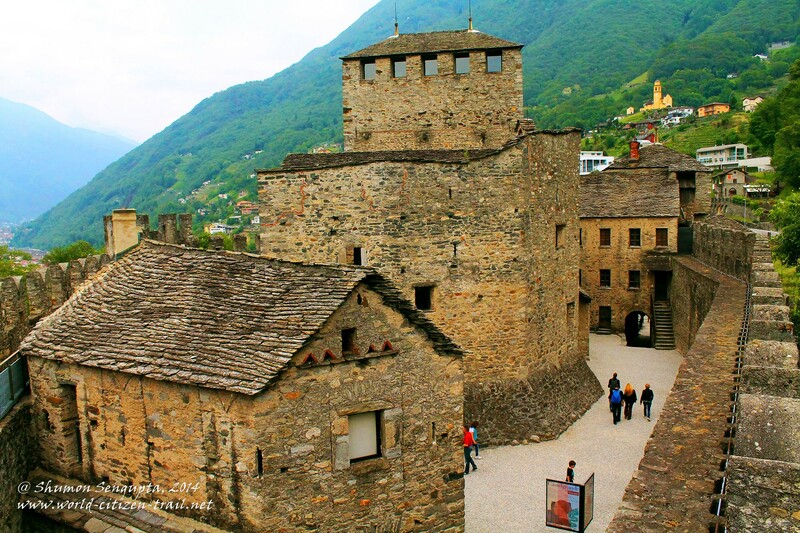 These buildings were majorly refurbished in 1990s and now houses a restaurant with a wine cellar boasting of a selection of fine Ticino wines. The enclosure of this castle also has the ruminants (foundations) of two very old Chapels. 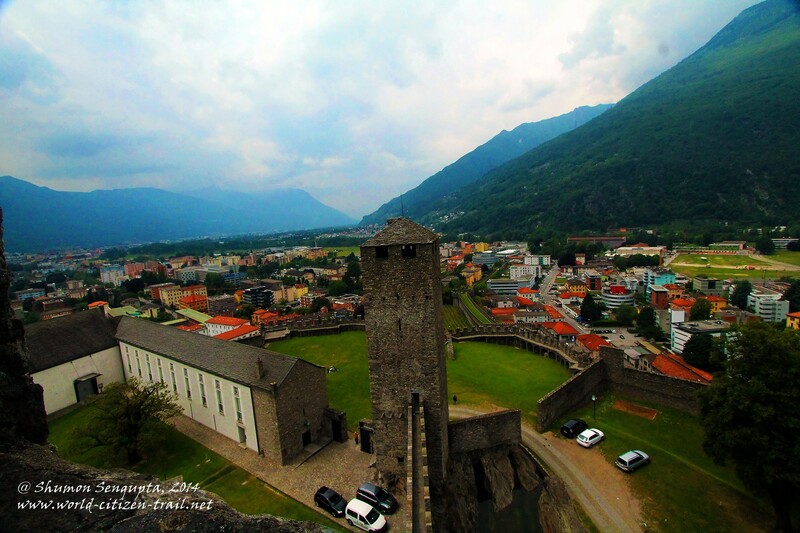 While Minnie and Nina hung around on the rampart, I climbed up one of the towers to get a magnificent view of the town of Bellinzona and the Ticino valley, surrounded by mountains. From the top of the tower, I could see the main defensive wall called the Murata at the western extremity of Castlegrande. A very impressive masonry structure, it leads down from Castlegrande and comprises a double wall enclosing an arched tunnel about 2 meters wide and 45 meters high. 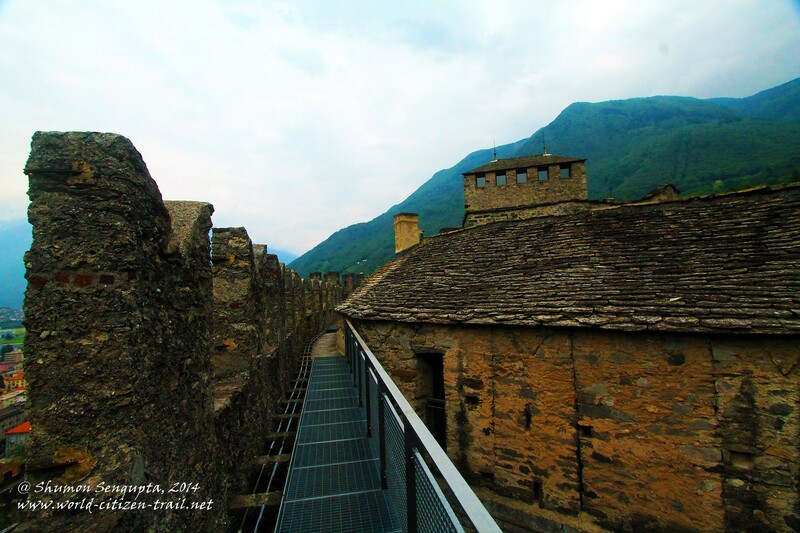 From Castlegrande, you can walk on the top of the wall till you come to a footbridge/walkway along a part (of the wall) that was demolished to allow road transit on the Via le Portone. 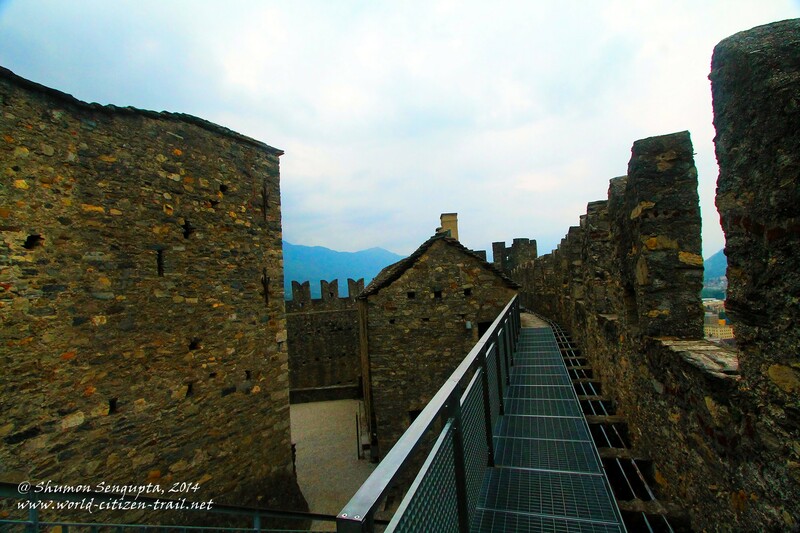 From this footbridge, you can get back to Bellinzona railway station either through Città Vecchia or Via Orico. 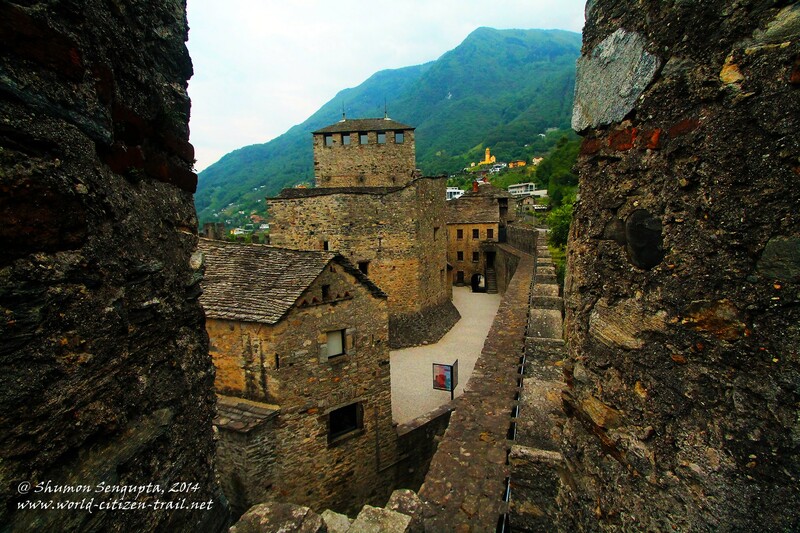 The Murata was built atop the contours of a natural rocky ridge and was part of the defensive fortifications that stretched down into the town and across the Ticino river to join up with the mountainside on the right bank, effectively blocking the valley off from intrusion. 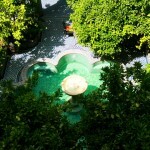 Architect Aurelio Galfetti is credited with carried out extensive restoration work of Castlegrande between 1984 and 1991. 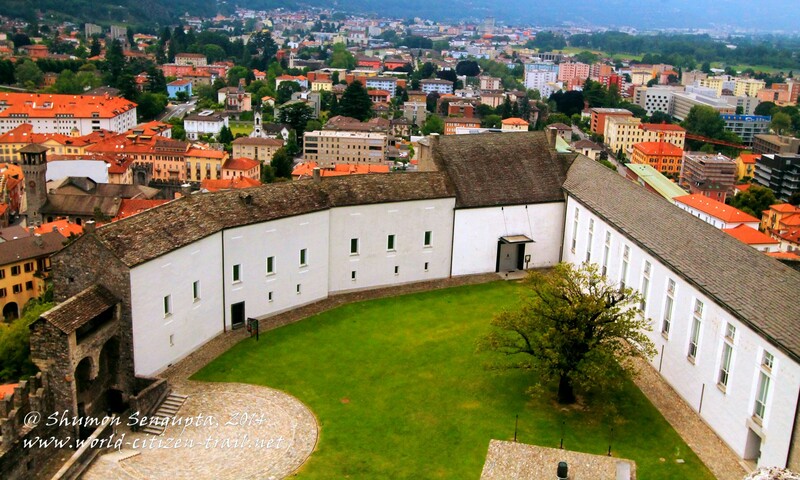 The state of the inner courtyard, the entrances, the elevator and the steps leading down to the town centre were that we see today are all results of this restoration. 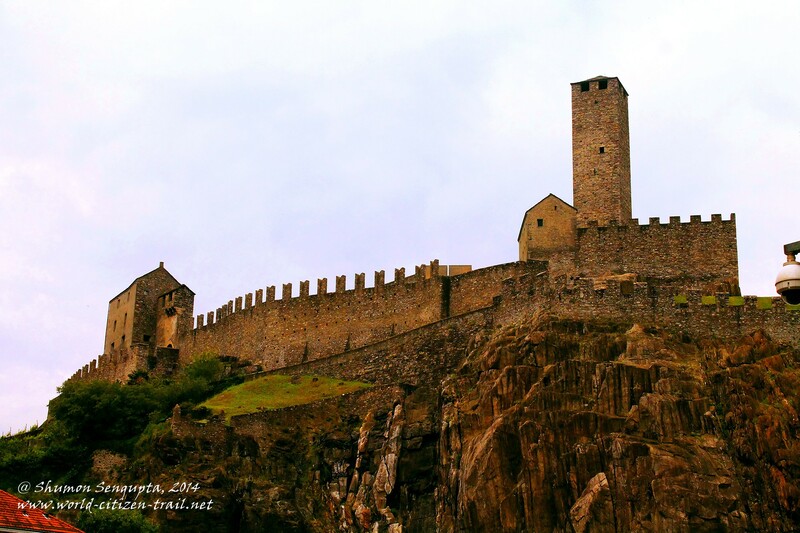 After spending some time at this castle, I visited the second castle called Montebello, located 90 meters further up on a rocky spur to the east of Castlegrande. The two castles are linked by the town walls. 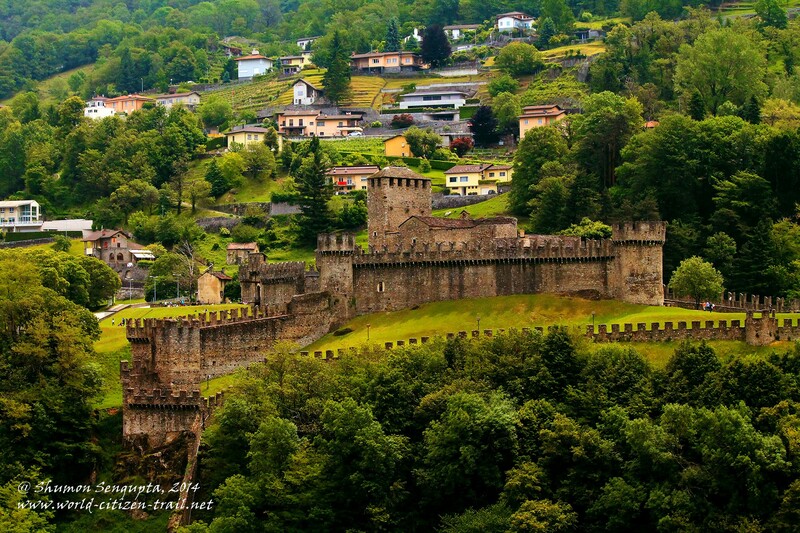 The castle can be reached on foot from Piazza Collegiata or from the residential area called “Nocca” and by bus from station road (Via Stazione). I was not aware of the bus route – hence I took the way through Piazza Collegiata. Since it was a fairly steep uphill climb from there, Nina and Minnie decided to stay back at the Piazza. The climb up Montebello was a tough one, but it was worth it. 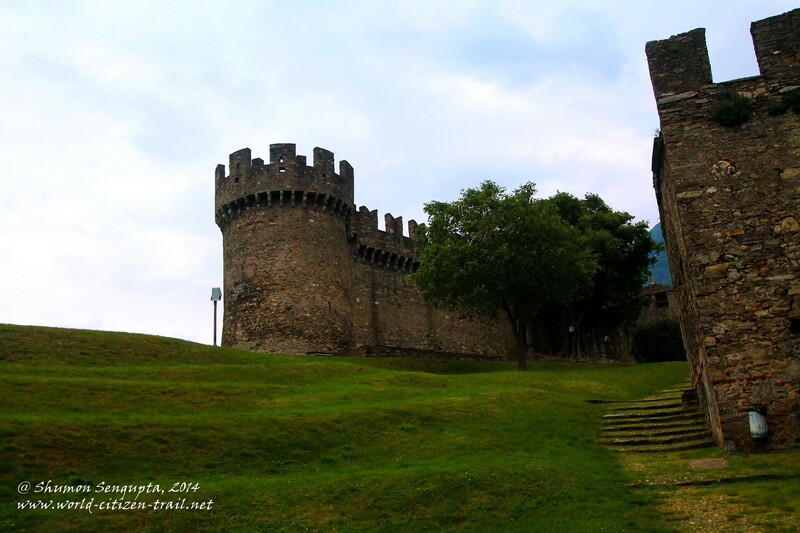 This smaller castle is said to have been originally built by the Rusconi family of Como who kept it for a long period of time, even during the rule of the Viscontis (Dukes of Milan). This castle was built in three stages. 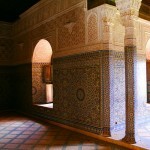 The first stage was the core, built in 1313 CE – the original fortified nucleus which served as the main building block. Two rows of defensive fortifications were built in the second and third stages, in the 14th and 15th centuries CE respectively. 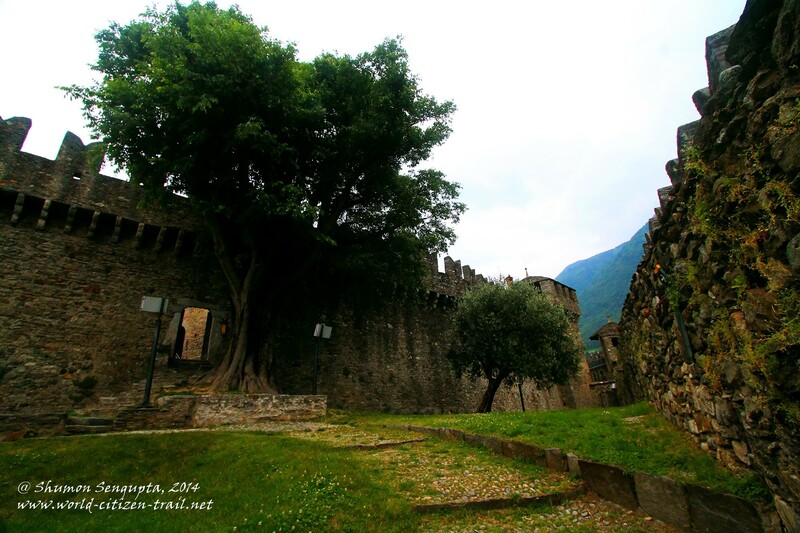 The external courtyards with the towers and the “Rivellino” were built by Sforza engineers. 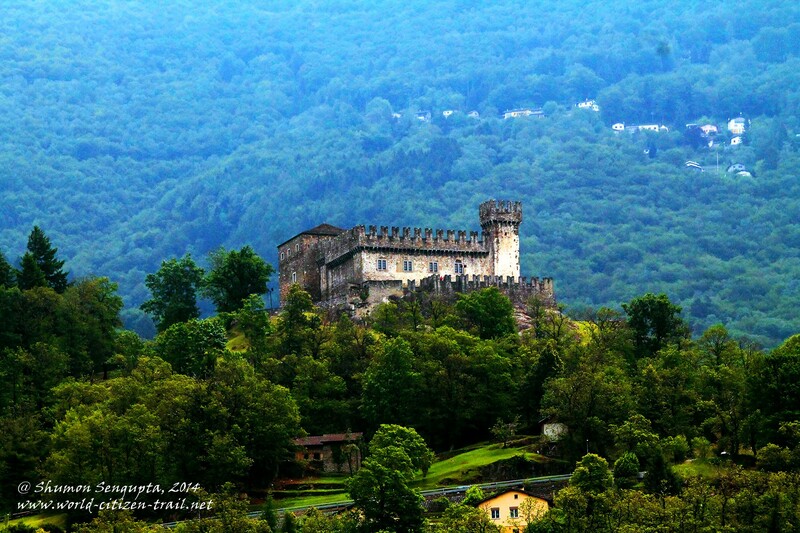 Towards the end of the 18th century CE, the castle was acquired by the Ghiringhelli family who ceded it to the Canton in 1903 on the occasion of the first centenary of independence. The entire complex is rhomboid in shape and is connected to the town walls to the south and north. Unlike Castlegrande, Castle Montebello has a deep moat surrounding parts of it. I found Castle Montebello to much more impressive than Castlegrande, despite the smaller size of the former. 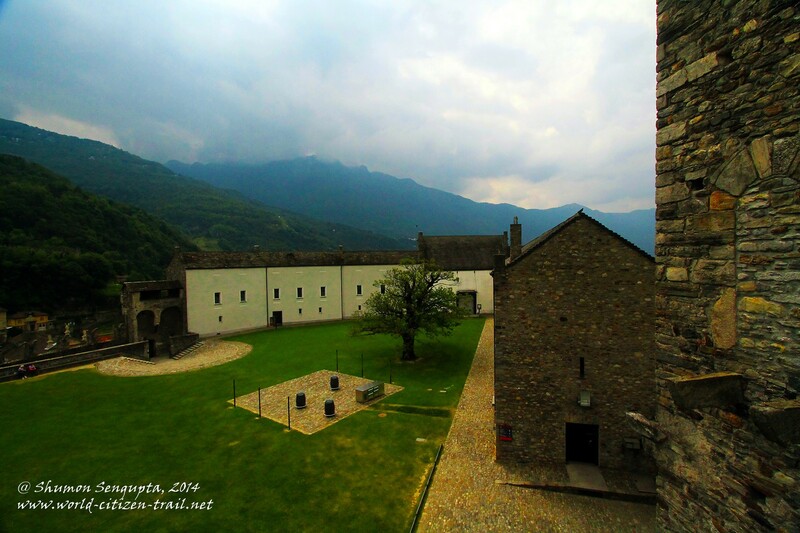 I had a quick look into the small but impressive Museum located in the castle. 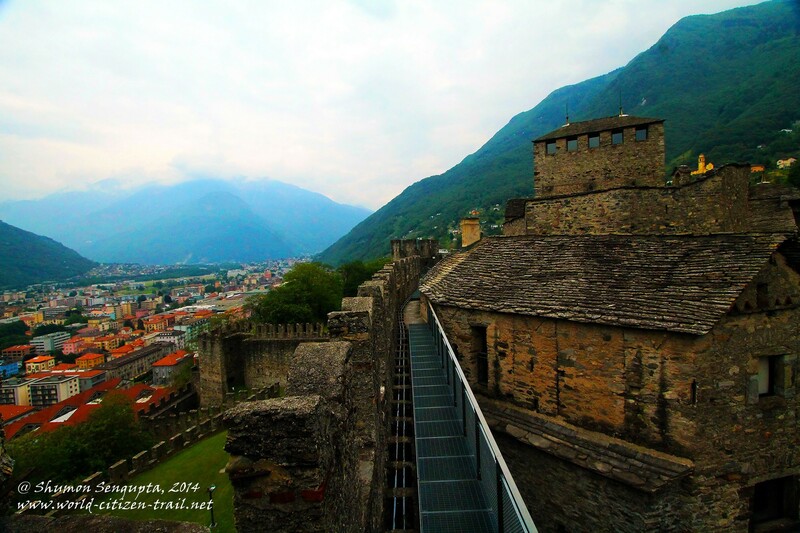 After that, I walked up the stone steps and ramps to the top of fortified wall, which has a steel walkway all along. 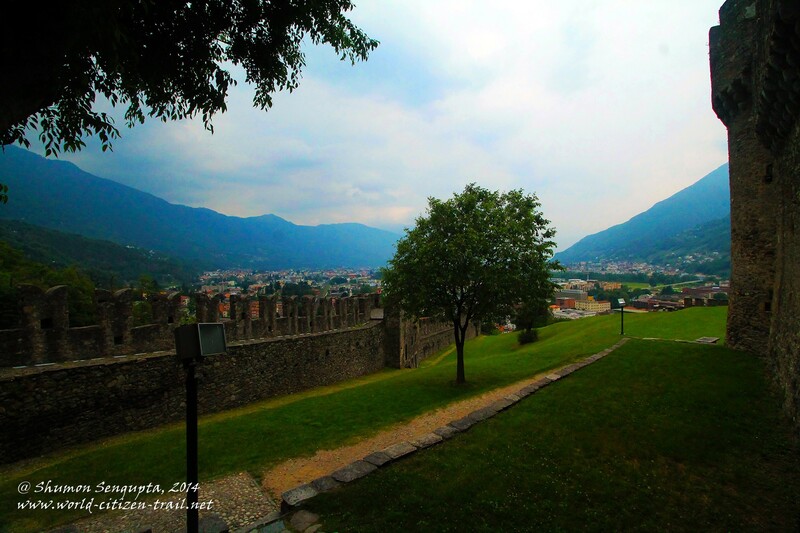 I got splendid views of Castlegrande and parts of the town of Bellinzona from there, in addition to the vistas of spectacular mountains all around. It was a clear day and I could even see, with some effort, Lake Maggiore at a distance. 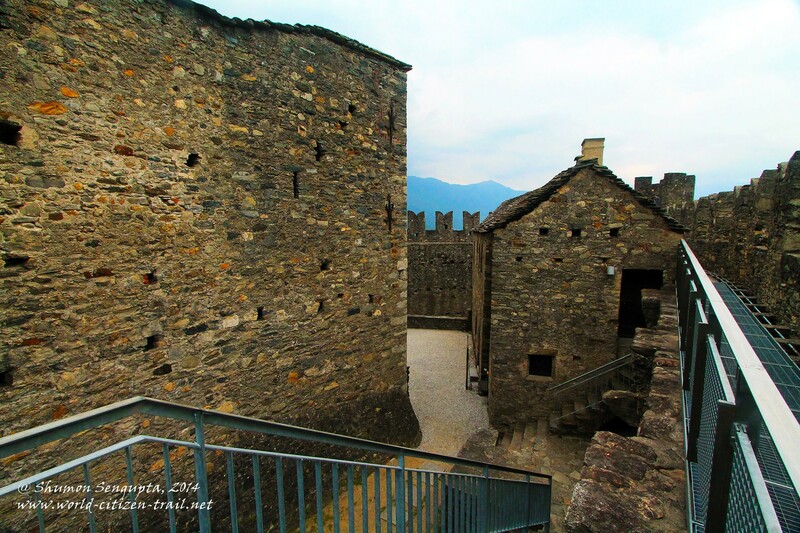 The third and the smallest of the three castles, called the Sasso Corbaro, is located further up on the hill, about 230 meters above Bellinzona town, on a deeply wooded hillside. 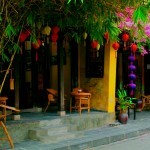 It is an idyllic setting with magnificent views of the valley, I am told. 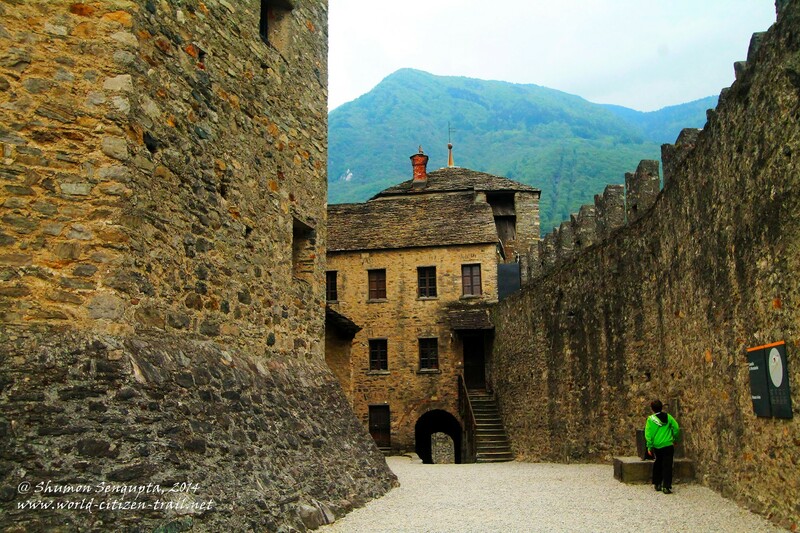 This castle stands on a square courtyard, surrounded by massive walls. 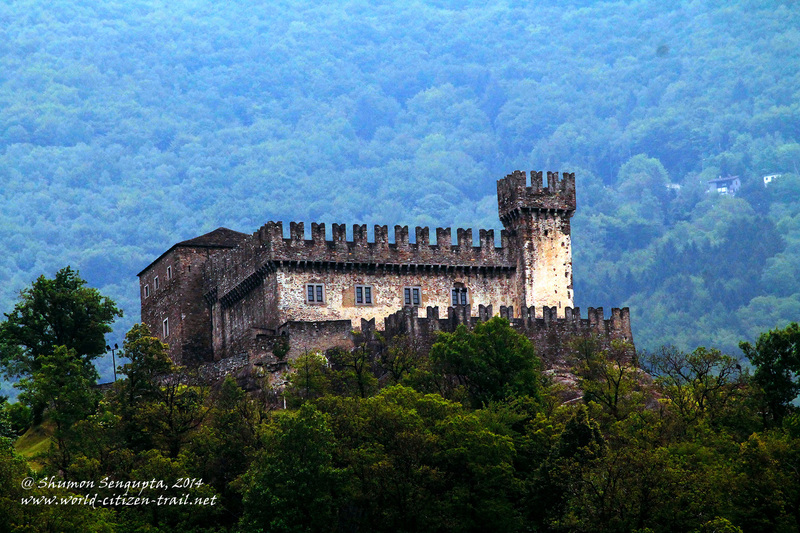 The Sasso Corbaro was built by the Sforzas in 1479 after the defeat of the Milanese troops at the Battle of Giornico. 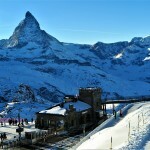 It was designed and completed in 6 months by the military engineer Benedetto Ferrini of Florence. I had had my fill with the first two castles and decided to give the third one a slip. 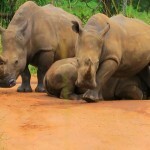 Moreover I couldn’t keep my ladies waiting for too long. Minnie, my 11 year old daughter certainly would have got very impatient. 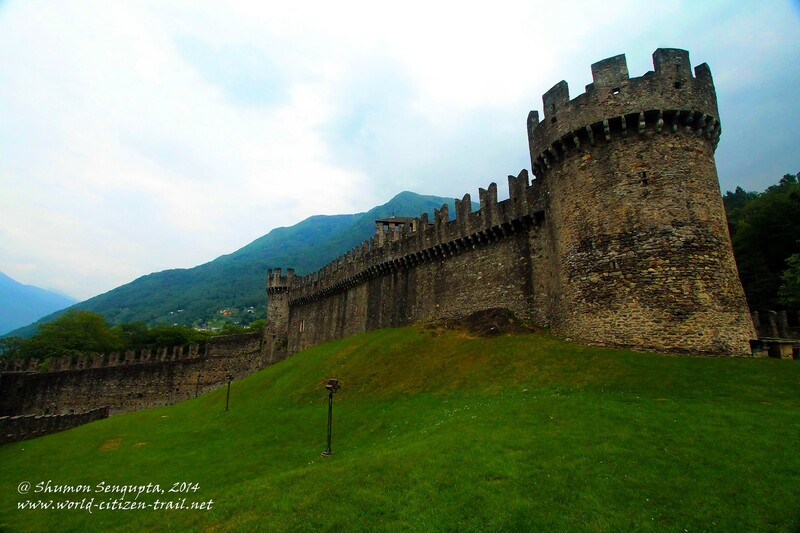 It was later that I learnt that the castle could be reached easily by bus either from Castel Montebello or from Via Ospedale. In the 19th century, all the three old city gates were demolished, to the regret of present day history and architecture buffs. 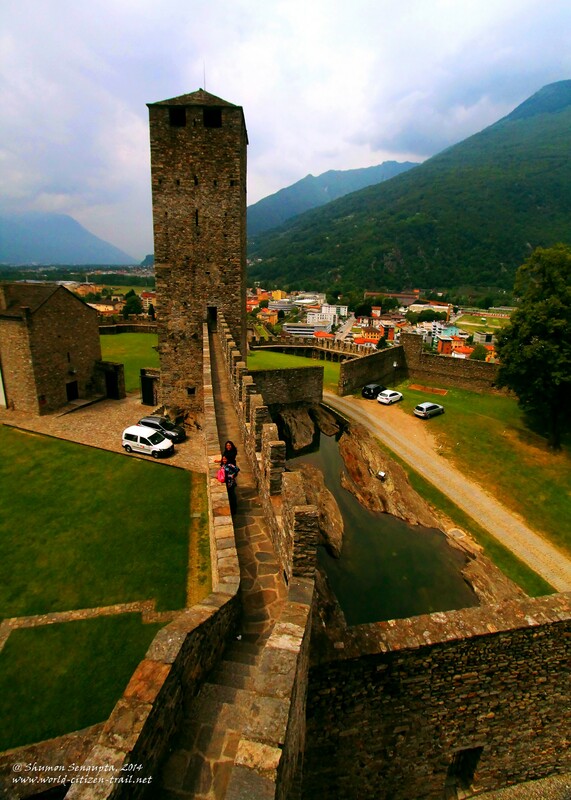 Nevertheless, it is said that sixty percent of the original walls of the Bellinzona fortifications still stand today. 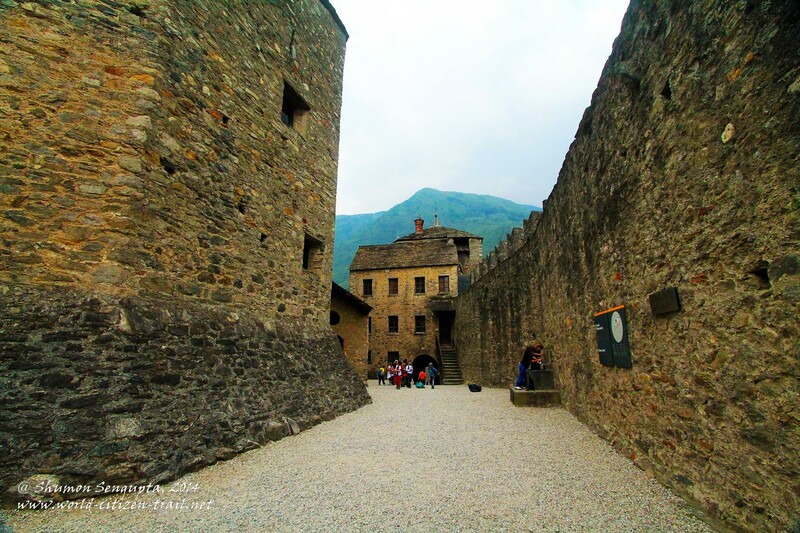 The defensive walls have however been radically modified over the last century because of restoration work. Also small sections of the wall have been demolished to allow for the passage of pedestrians and vehicles. 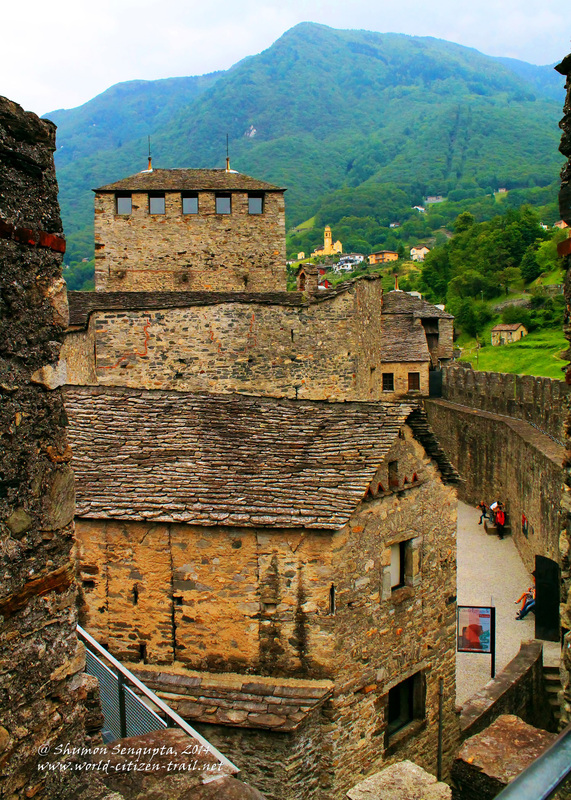 Placed at the convergence of several strategic Alpine passes, Bellinzona occupies a unique location. 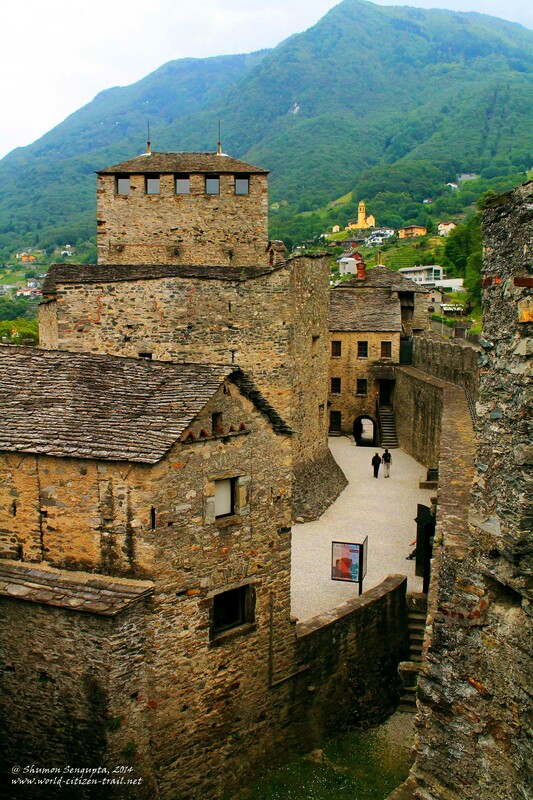 Inhabited since neolithic times and rich in history, the skyline of Bellinzona is defined by the formidable fortifications, comprising three of the best-restored medieval castles in Switzerland. 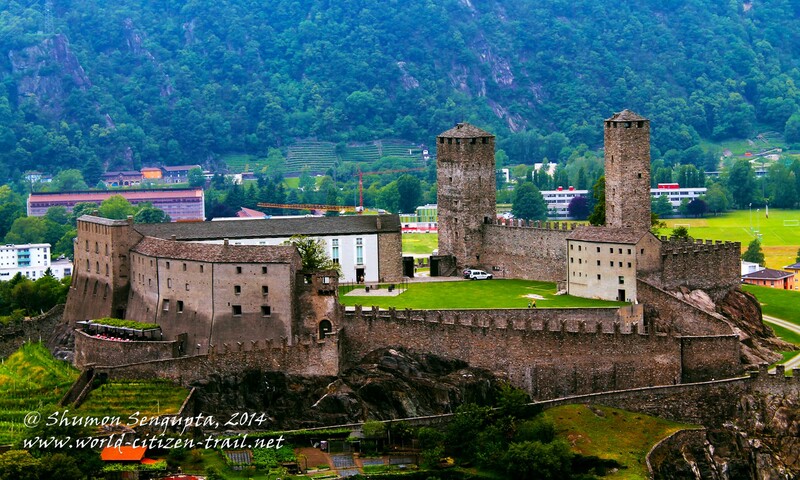 The imposing castles of Bellinzona loom large over the beautiful town of Bellinzona, which is also serves as the capital of the canton of Ticino. Our trip to the castles not only revealed the physical grandeur of the place but also provided is a veritable lesson in History. 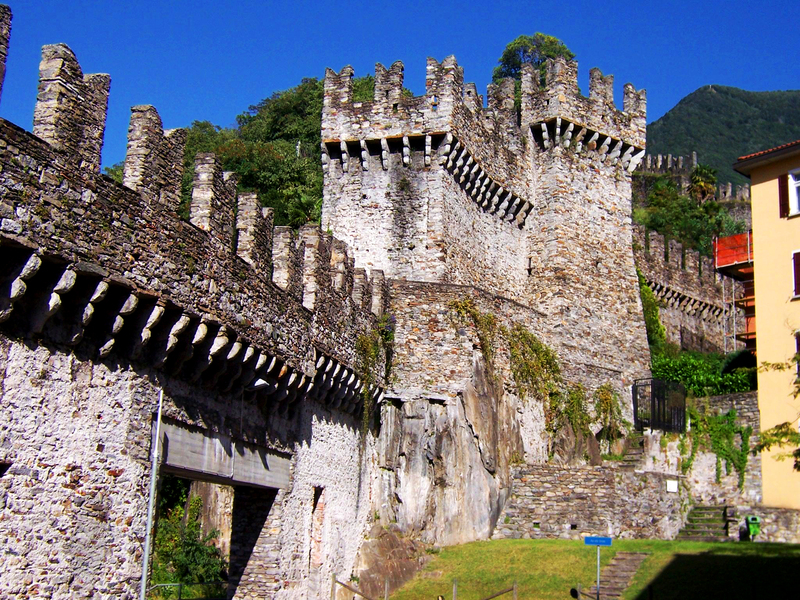 Plan to spend a full day in Bellinzona, particularly if you are a history and architecture buff. 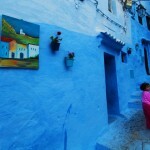 However if you are rushed for time, it can also be done in half a day. 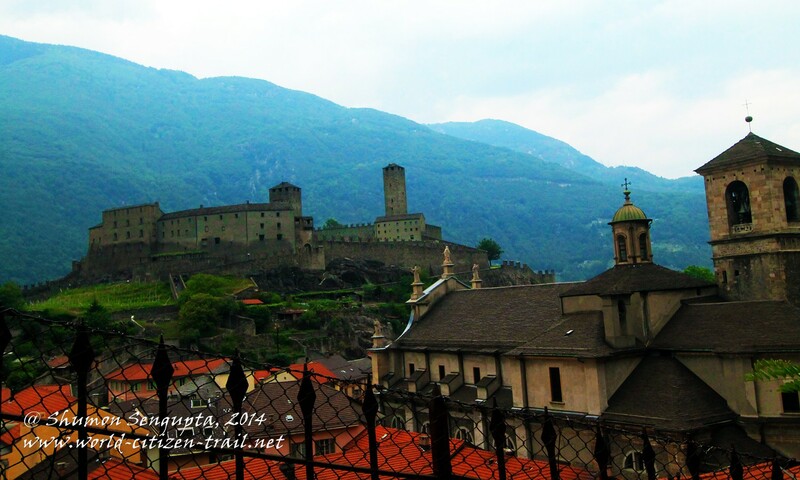 There are regular trains from Lugano to Bellinzona throughout the day and it takes about half an hour. 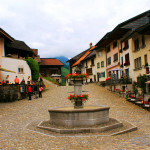 Bellinzona is also directly connected from Zurich HB by a regular train service throughout the day, the journey taking a little less than two and half hours. The three castles are open every day and there is a single ticket for all 3 castles, museums, courts and towers. 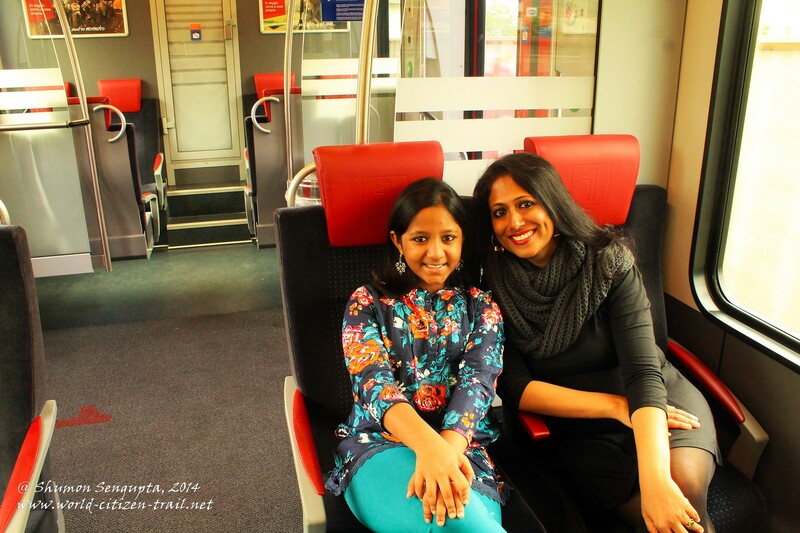 The ladies at the ticket counters / museums are very warm, friendly and helpful. 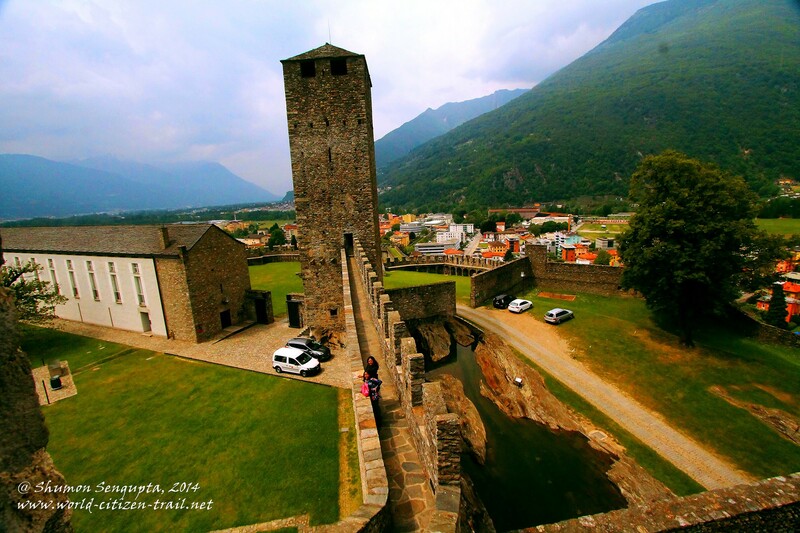 The best way to see the three castles, without having to walk uphill is as follows: Take the postal bus from the train station in Bellinzona, up to Artore where the Sasso Corbaro Castle, the highest fortification in Bellinzona is located, 462 meters above the town. 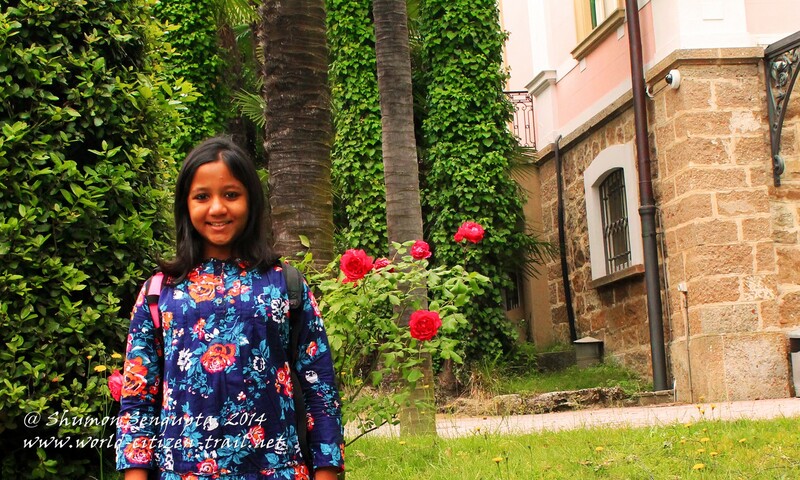 After seeing the castle, descend to the Montebello Castle. 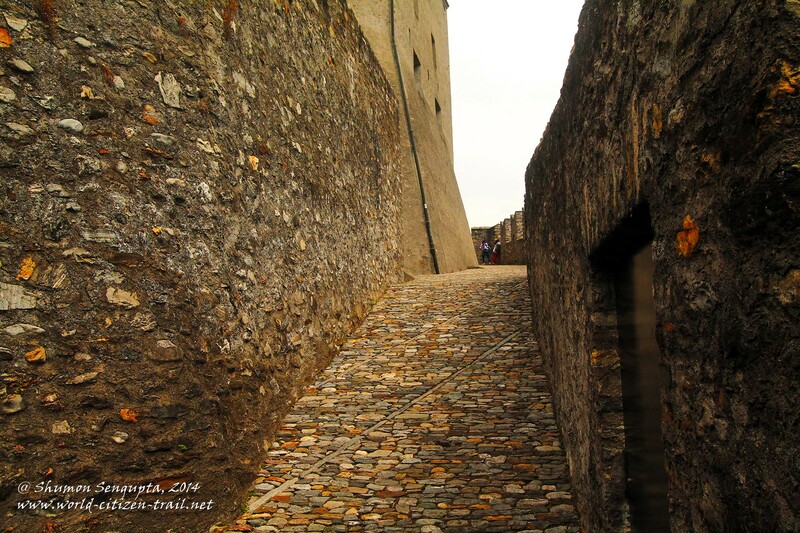 From Montebello, there are steps down hill along the old city walls that will lead you to the Piazza della Collegiata. From there, you can either follow the San Micele path uphill to the Castlegrande or if you want to avoid the climb, you can walk to the Piazza Mario della Valleand take the elevator (built in the rock) to get to the top at the Castlegrande. 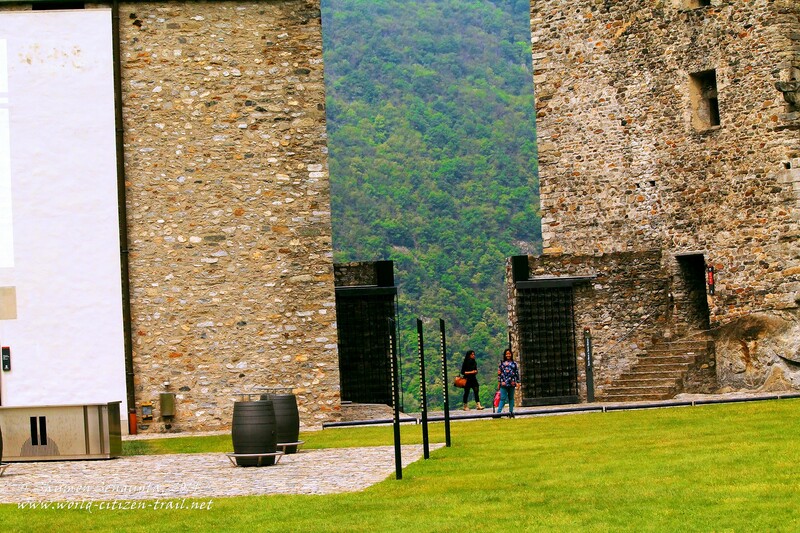 Pack lunch and have a picnic in one of the three castles. 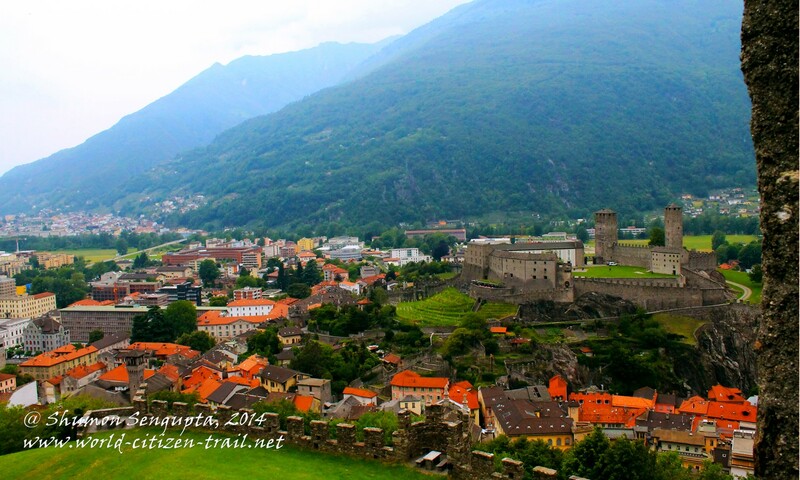 Alternately, you can have a late lunch in Bellinzona. They serve amazing pizzas there. Well this is the Italian speaking part of Switzerland after all.